One of the primary advantages of digital photography over film photography is that the digital camera will select the exposure and focus automatically. That doesn’t mean you shouldn’t learn the technical concepts of photography and how to use them to operate your camera manually. Those are skills that will be handy one day. That’s the key: you don’t need to learn them as soon as you buy a digital camera. Instead, use the auto setting during your basic “learning curve,” and here are four reasons why. Beginners always start with the basics. 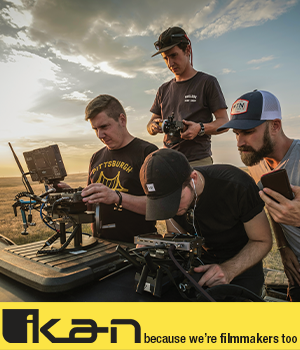 In the case of photography, this means reading the first part of your manual, learning how to hold your camera, becoming familiar with the viewfinder, finding the shutter release and other primary functions, and practicing the framing of pictures; plus a few other fundamentals. The auto mode is one of those primary functions you want to find on your camera and read about in your manual. By relying on the auto mode early in your digital photography education, you can concentrate on developing your photographer’s eye and being artistic with your camera. (Read more about this topic in the PhotographyTalk.com article, Digital Photography—How to Train Your Photographer’s Eye. Some professionals recommend that this “training” period in auto mode should be as long as a year, or at least three to six months. You need that time to create a picture-taking style and be able to operate your camera and frame images smoothly. You should sense that you know what you are doing and are fairly certain you take very good digital photos. Don’t be pressured to learn. They’ll come a day when you’ll feel that you’re ready to learn and apply the technical stuff, such as ISO, shutter speed, aperture and all the various exposure, shooting and focus modes. Don’t be in hurry and don’t be influenced by information you may read or what others may suggest. A good tip to follow is to schedule a test session to experiment with your new, advanced digital photography skills, not an important family event. Make your learning mistakes on pictures that don’t matter. Auto mode saves the day. Even after you feel comfortable and confident with your advanced skills, and it shows in your photos, auto mode can still be a valuable tool. You may find yourself in an unusual environment or one with tricky lighting conditions, and shooting in manual or aperture priority mode. Capture a few frames in auto mode for a bit of insurance. If your subject is moving or the light changes frequently, then you can’t check each shot as you take it, or you might miss the best picture. Auto focus will save you from disappointment later after you download your images. The world is always moving. The challenge of moving subjects often occurs when photographing small children or your pets. Sports and wildlife photographers face it too; anytime you don’t have control of live subject matter. This is one of those situations in which it’s impossible to change various camera settings manually, and quickly enough, to catch the action. As soon as you adjust for one movement of the subject, he, she or it moves again. Put your camera in auto mode, so you can concentrate your efforts on framing the moving subject correctly and composing a pleasing image. 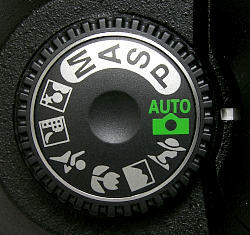 The auto-focus mode on your camera is not there, so you can take digital photos without thinking. In fact, it’s purpose is quite the opposite: it will help you develop your basic photography skills, and then continue to be helpful at the right moments as long as you’re a photographer.